Mike shares some fantastic memories from his years as an Exeter Falcons fan. 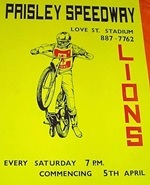 More from Bill Hamilton's collection of speedway posters from the seventies. Powderhall, Odsal and Love Street are amongst the venues this time. David Pickles reflects on the last ever weekend of sporting activity at a famous old stadium. "Bernard Gent was a brilliant and funny commentator, it wasn't the same atmosphere after he left, Tony did well to fill the breach and was commentating at Croft motor racing circuit the last time I was there in 2014. " Tracy Holmes concludes his series on the World Team Cup from a Kiwi perspective. In this final instalment he covers 1986 and everything afterwards. Many thanks to Tracy for contributing this excellent set of articles. These posters from the seventies and eighties were sent to us by Bill Hamilton. "Blimey, this takes me back. How I wish we had the publicity this generated today. I think, and must check it was 1977 I first went, staggered by size of crowd, Thereafter I went to see 'The Dons' every week for a few years. Cyril Maidment offered me second half rides although I never took up the offer. What did speedway miss!! Have to mention, and maybe it was the International meeting but these events declined very fast in terms of attendance and the way they were run. I cannot quite remember and must research it because one such meeting became farcical. 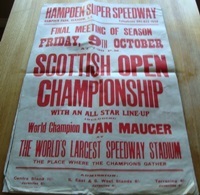 Murray Walker, the icon of Grand Prix commented on one meeting and got all his facts completely wrong, such was his interest in speedway!" 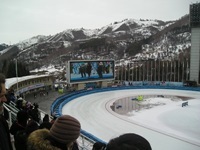 Charles McKay has been on his travels again, taking in some recent ice meetings in Kazakhstan. Despite the wintry weather, he reports that he's been colder at Buxton in July! Tracy Holmes brings back memories of the 1985 qualifying round at Bradford, staged on the weekend the city suffered its darkest day. 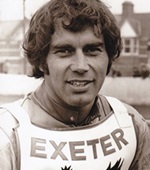 The Kiwis produced a couple of Mauger surprises in team selection. 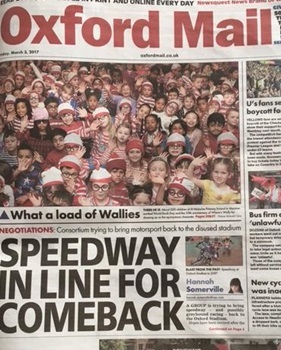 The Oxford Mail brought fresh hope to local speedway fans this week with a story suggesting the bikes could be set to return to Sandy Lane. 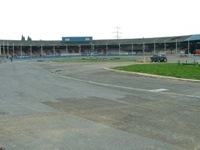 A group of speedway fans are hoping to run the stadium as a social enterprise on a not-for-profit basis. Thanks to John Fray for alerting us to the story and for the picture above. You can read the full story on the Oxford Mail website. "Excellent site witch takes me back to happy days watching the racing at Rayleigh Weir in the fifties when Peter Clark and Gerald Jackson provided very entertaining racing, keep up the good work! I would like any information as to what happened to Peter Clark after 1956 as I have no information after this date." "The whole 19th heat is on YouTube - in my opinion definitely Chlinovski should be disqualified and bad that this heat wasn't repeated"
"With reference to the army speedway riders in Germany, my dad, George "Arty" Marsh rode with Eric Boothroyd and one or two others that made it in British Speedway. I am trying to find any photos or mention of my dad. Can anybody help. He was in the Royal Engineers." "I am trying to find info for a museum display on Reg Smythe, creator of Andy Capp. Reg also created the Speedway character Skid Sprocket years before Andy Capp. I know Reg's cartoons were in Monthly Speedway World from the first issue in June 1949 but I think he was also in Weekly Speedway World before that date. If any one has any of these magazines for sale I would be very interested or even a photo copy. Thanks for any help. "